Buy to let: what do you need to know? Purchasing a buy-to-let property can be a financially rewarding investment. But, all too often buyers delve in without understanding what is involved. So, if you are considering becoming a landlord, what do you need to know? As well as the purchase cost, and any associated interest rates, taxes, and legal fees, you will also have to advertise the property and be responsible for making sure it is safe to live in and well maintained. You will also have to pay if you decide to use an estate agent to manage the property on a day-to-day basis. Think about how you will cope if the property is empty for any length of time, or if your tenant fails to pay their rent. To ensure you are protected, you should also look at rental insurance. Anyone purchasing an additional property, including buy-to-let landlords, will have to pay an extra 3% in stamp duty. Also, you will typically have to pay tax on any income made from renting and Capital Gains Tax should you sell. It’s always worth getting financial advice to take advantage of any available tax/savings help. Buy-to-let mortgages are different from standard mortgages and usually come with particular fees, rules and interest rates. You also can’t rent out a property bought with a conventional residential mortgage unless you get permission from the lender. Breaching this could start repossession proceedings. 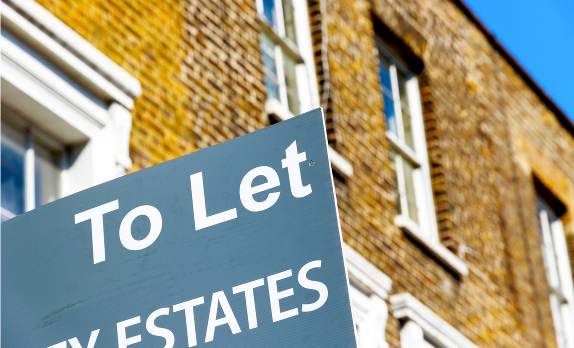 As a landlord, there are some legal obligations you must comply with or risk criminal charges. These obligations include (but are not limited to) annual safety checks, how you hold deposits, accessing the property, and evicting tenants if something goes wrong. As such, it is vital to have a signed tenancy agreement in place. Rental yield is a vital consideration; particularly if you want to benefit in the short term. Your “yield” is your annual rental income, as a percentage of the total value of the property. To calculate the potential rental yield, divide the expected yearly rental value by the property price and then multiply this figure by 100 to get the percentage. Average rental yields differ across the country and the best investment might be found in an area you don’t live in. It’s always best to take professional advice on what will work for your particular circumstances. Just like buying a residential home, you must ensure the proper searches and checks are carried out before purchasing a buy-to-let. If the property is already rented, you should also find out what this means to you. Legal advice is strongly recommended to make sure you are protected. Figure out who your property will appeal to in its current state and who you want to rent to. If these don’t match up, you might need to refurb the property in order to ensure it appeals to your target market. Ultimately, purchasing a buy-to-let property remains a popular investment option. Moreover, with the right advice, it can deliver significant return on investment. If you want to become a landlord, talk to us and we will guide you through the process of buying a property to rent out. Please contact LPL on 0333 305 5189 or by email at newbusiness@lpropertylawyers.co.uk or visit our website at www.lpropertylawyers.co.uk for more information.